Buy 1 Extra Value Meal, Get 1 FREE (#val 240) Buy Any Breakfast Sandwich, Get 1 FREE (val#241) Not valid on combo meals. 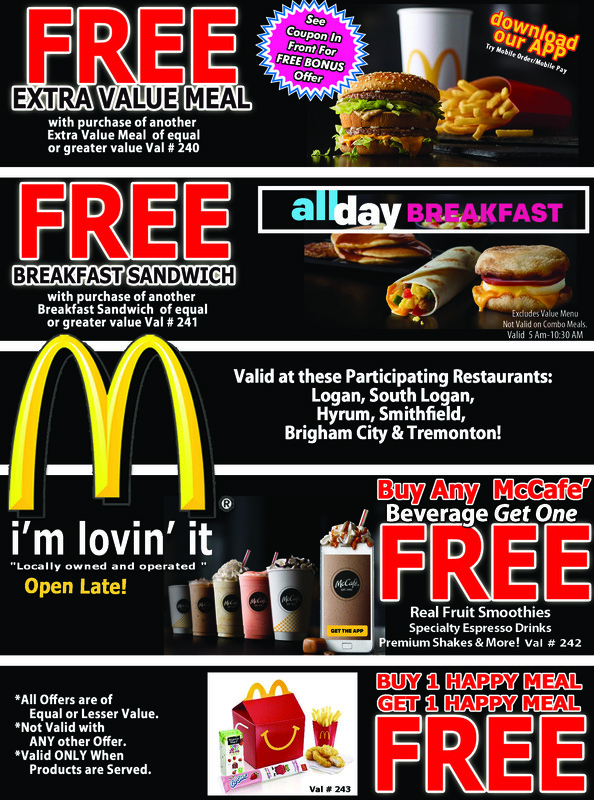 Buy Any McCafé Beverage, Get 1 FREE (val#242) Buy 1 Happy Meal, Get 1 FREE (val#243) All offers of equal or lesser value. Valid only when products are served.